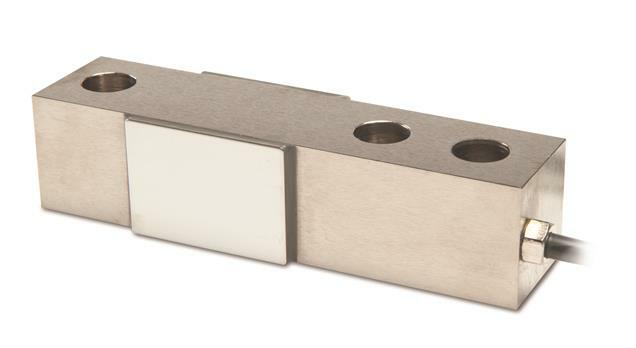 Shear Beam Load Cells employ shear rosette strain gages to measure shear stresses in precision machined steel and stainless-steel elements. Also referred to as Beam Type, Load Beams or Load Points, they are commonly used in compression loading applications in industrial weighing and general force measurements. Rated capacities range from 1,000 lbs. (450kg) to 40,000 lbs. (18 tonnes). The exceptional performance and forgiving characteristics of the Shear Beam Load Cells make it the popular choice for compression applications in tank, bin and hopper weighing, industrial floor scales, in-motion weighing, dynamometers, batching and dozens of applications in process control and general industrial weighing.